It has been so much fun watching the Boles family grow over the past couple of years and I am honored they have asked me to document all of their most special milestones. I am so excited for them as they'll be adding another little fella to the clan. Easton is going to love having a little brother to play with! I had such a wonderful time photographing Jessica of Jessica Jane Photography and her sweet little family! Here is a peek into their lifestyle session. The Boles are very dear to my heart and are an extra special family to SVP. We are honored to have documented the proposal, engagement, wedding, maternity and newborn images for this beautiful family. We are grateful for the opportunity to capture all of these special seasons of their lives and can't wait for what's to come for this sweet growing family. 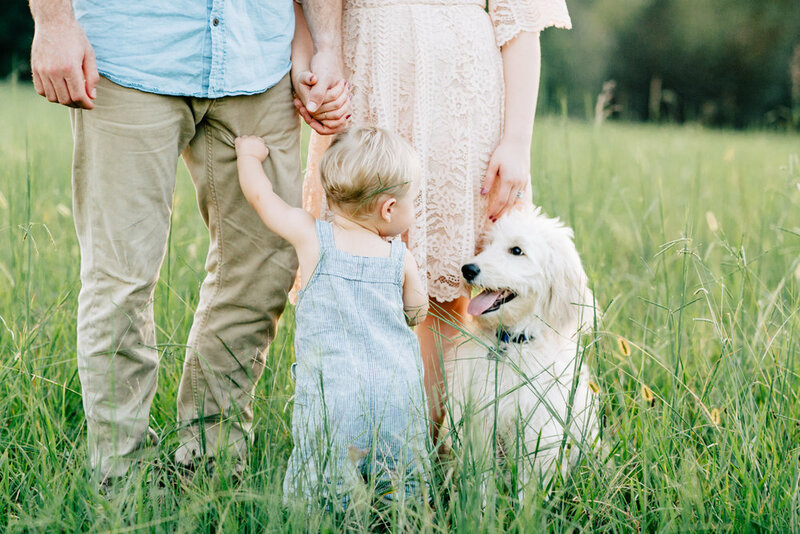 As my very first styled family session shot with film I could not be more in love with how the images turned out. We are so excited to be launching our fine art family sessions for the fall! For those of you who have already inquired, we will be releasing dates this week so be on the look out for that. In an effort to give more to our families we have included a few new options to make the experience extra special and to ultimately serve you better. This year we will be offering the follow add-ons: short video clips (tiny sneak peek at the bottom of this post), print + canvas options, outfit styling (included in the package) and hair and make-up. We will be offering a limited number of spots with weekday and weekend options from September until November so don't miss it. It's not too late to grab your spot!